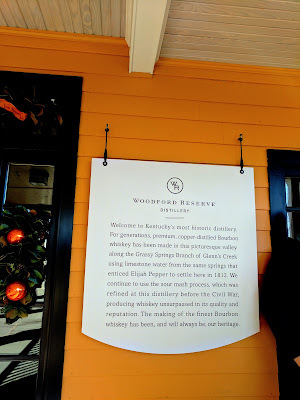 While spending time over the holidays with Eric's dad, we decided to make a couple of bourbon stops west of Lexington. 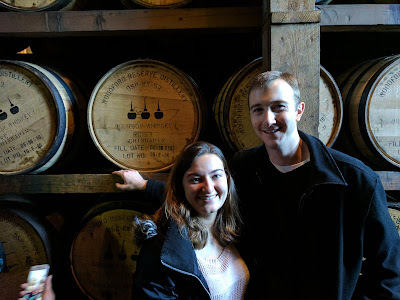 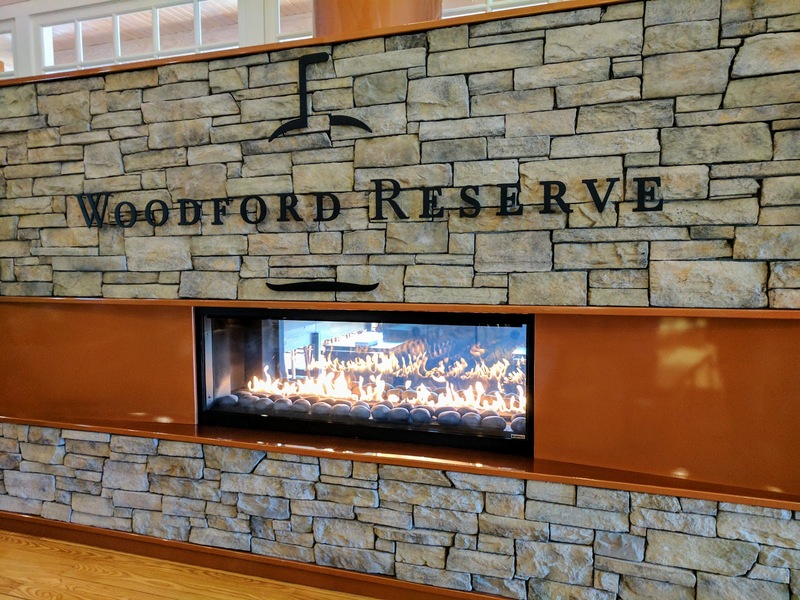 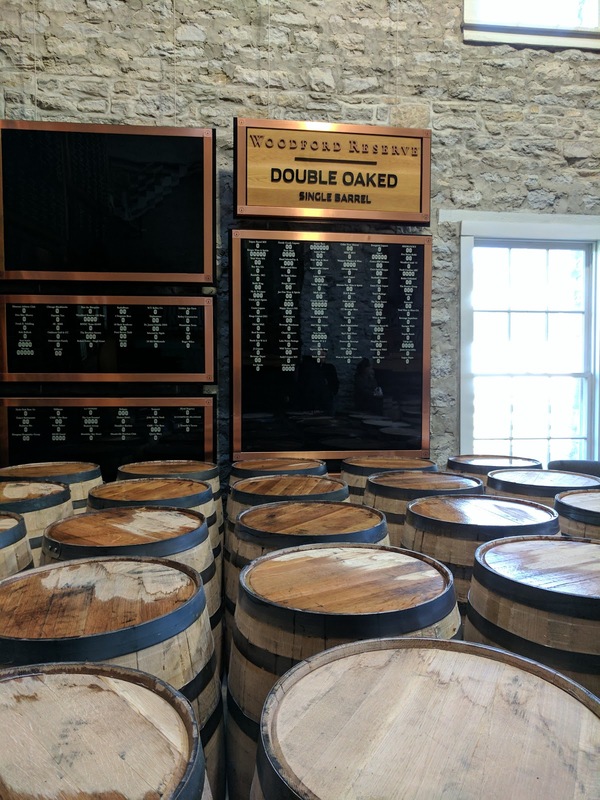 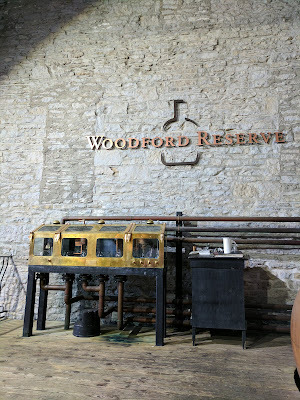 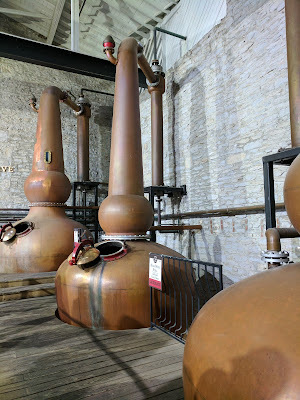 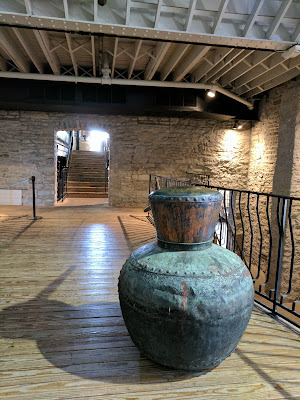 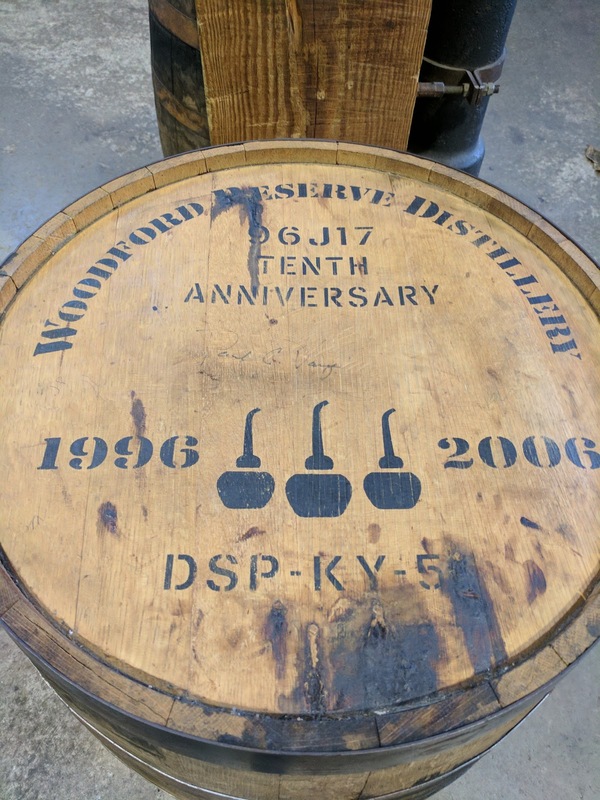 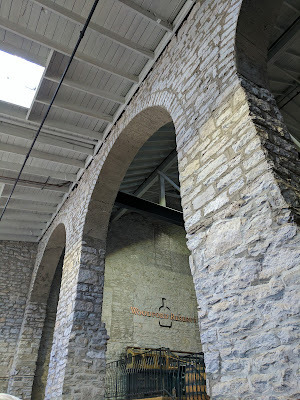 Our first stop was on the Kentucky Bourbon Trail, Woodford Reserve. 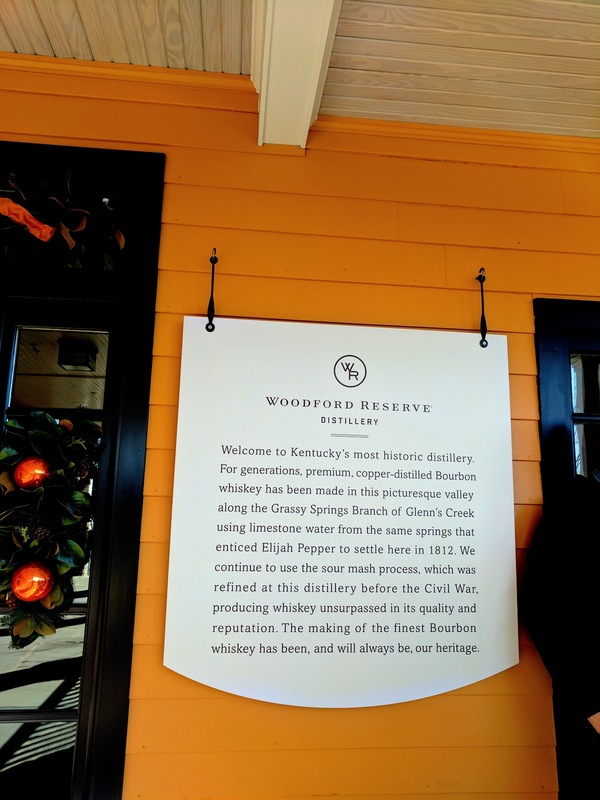 The drive here is through picturesque thoroughbred horse farms, white and black fences, and bright green Kentucky grass (even in December). 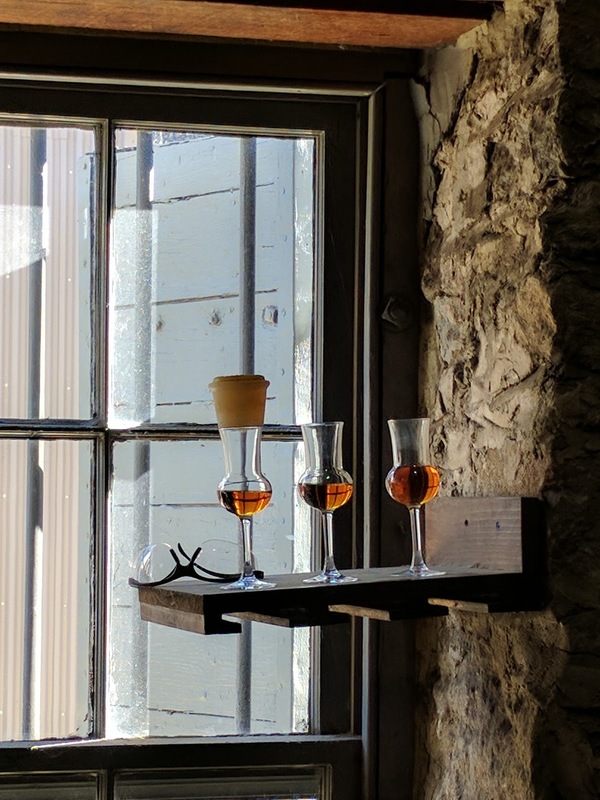 Everything about this will scream "Kentucky" to you. 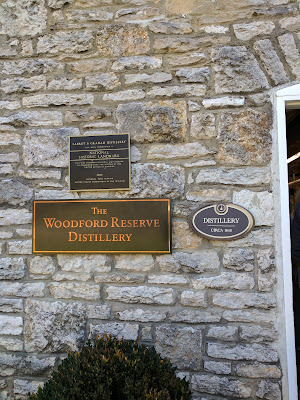 All you need is a mint julep and ... oh, yeah, you'll get a third of a mint julep on this tour. 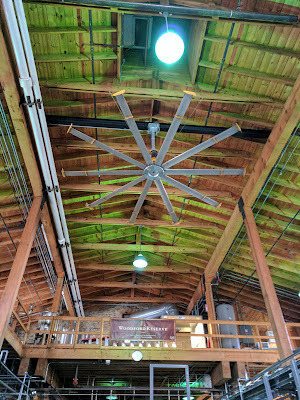 Tours go on the hour Monday-Saturday 10am-3pm and Sunday 1-3pm (except January and February) and they last about an hour. 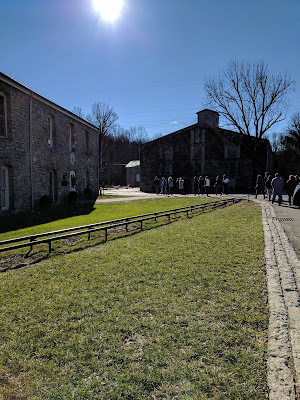 If you are making a trip of it, try to time it so that you aren't waiting too long for the next tour to go out. You will need tickets which are $14 per person. We were here on what seemed like a busy day. There must be ticket limits on the tours, because you take a bus to the start, so that's another thing to plan for. There were around 30 other people with us. (You can reserve tickets online too.) They have a variety of other tour/lunch/etc options if you want to make even more of an experience. 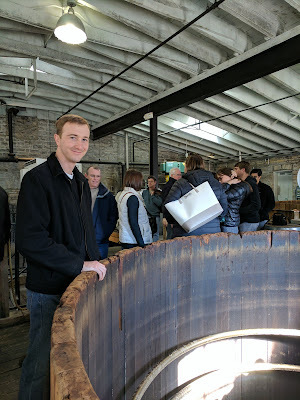 Our tour guide was very good. I thought she was pretty funny, and she was easy to understand. 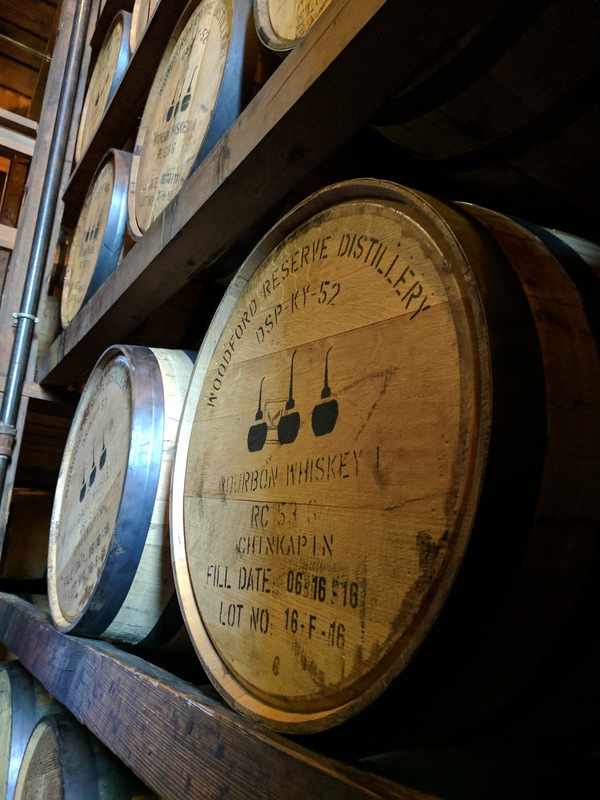 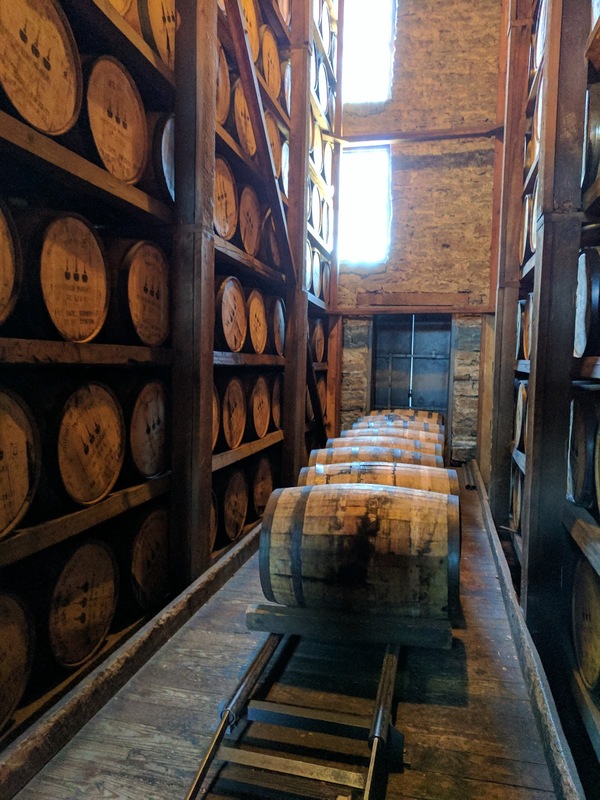 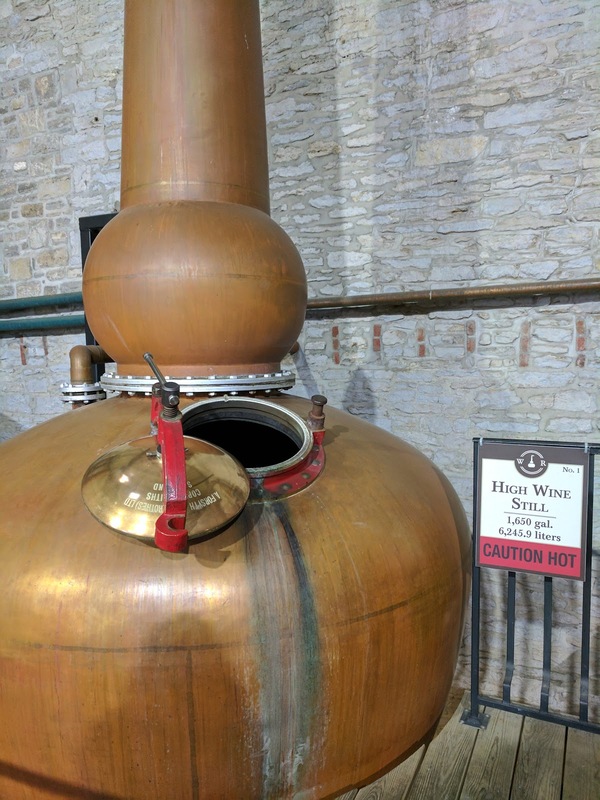 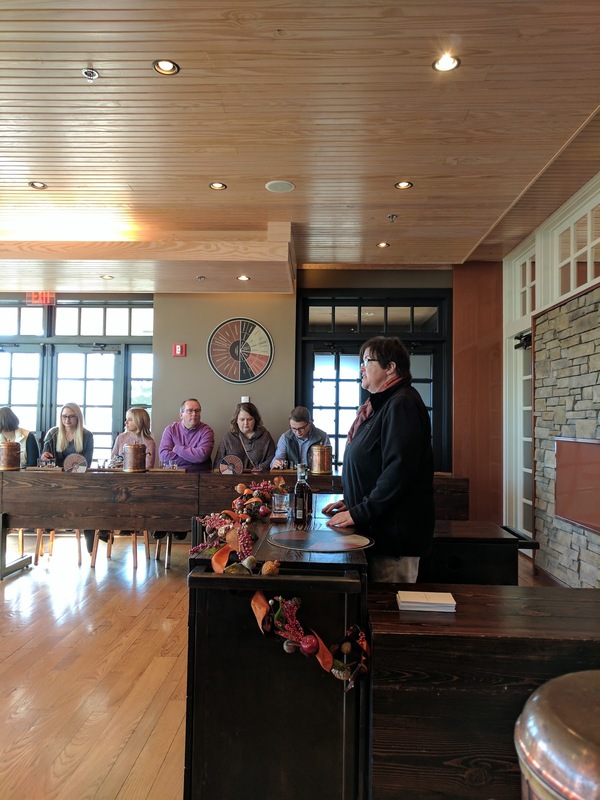 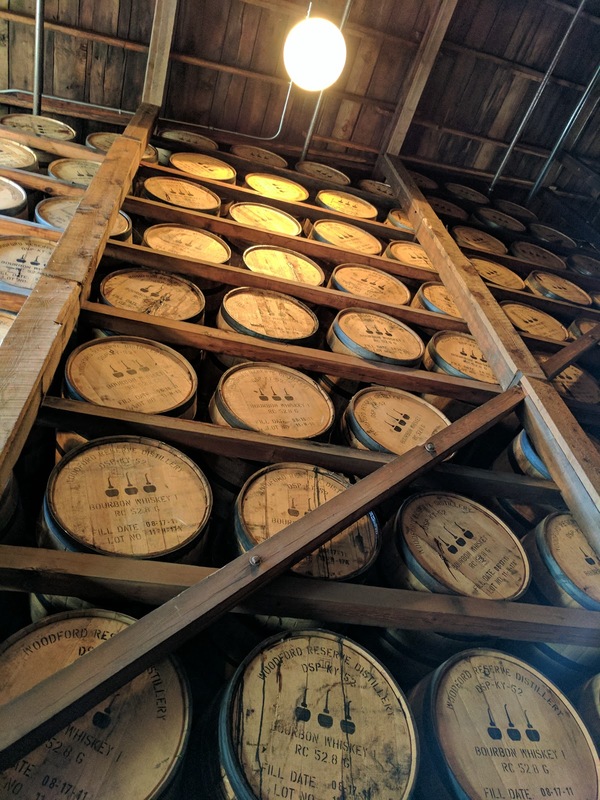 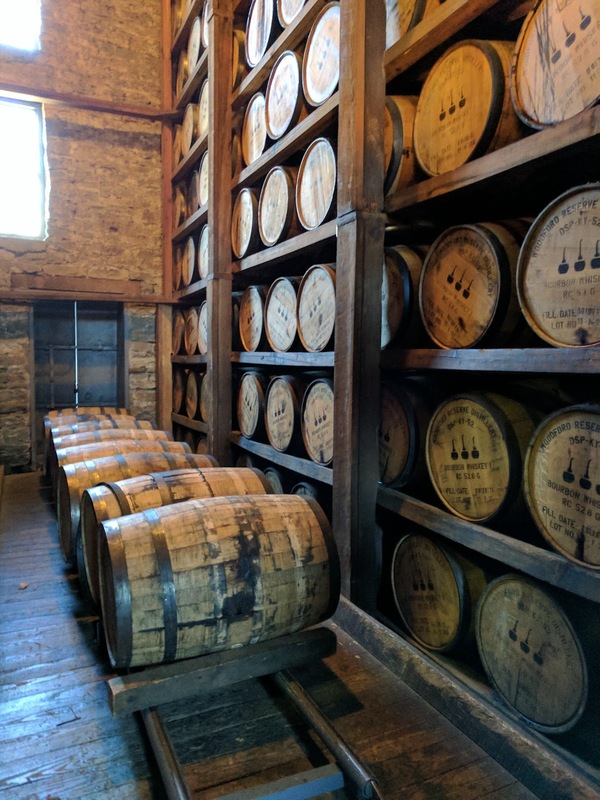 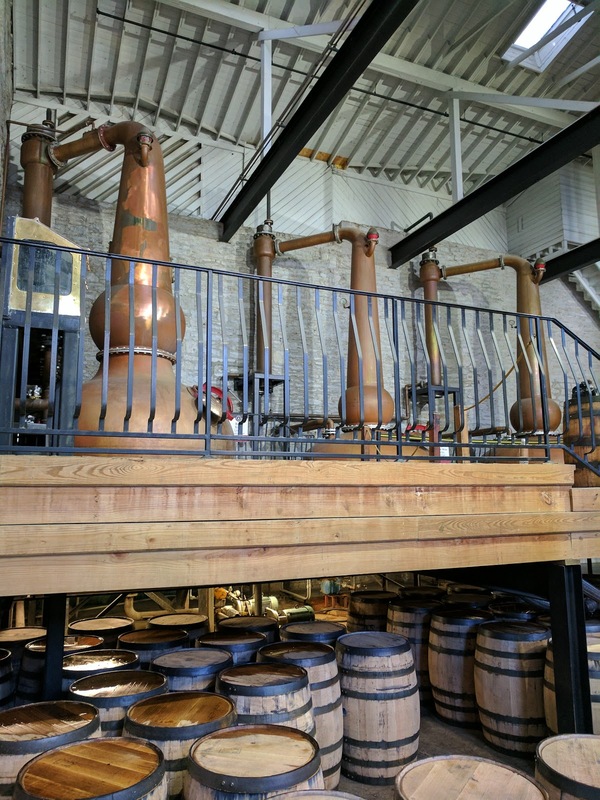 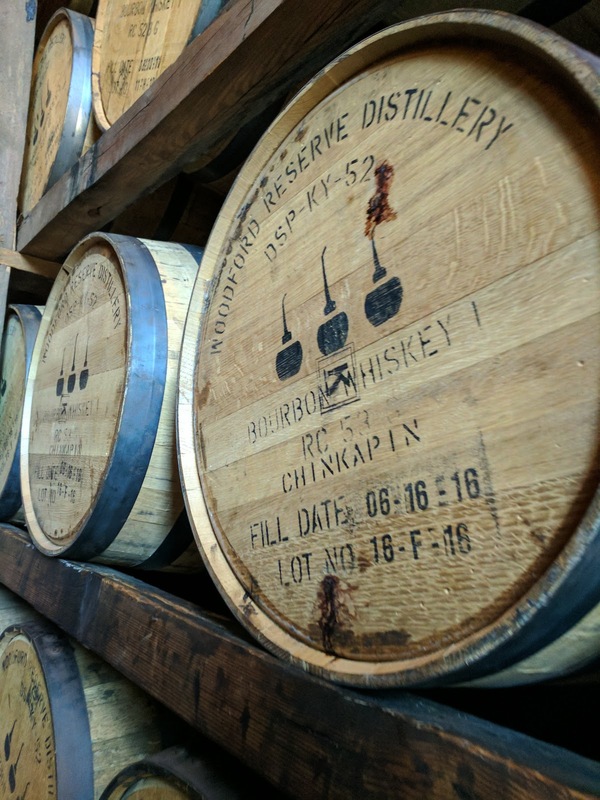 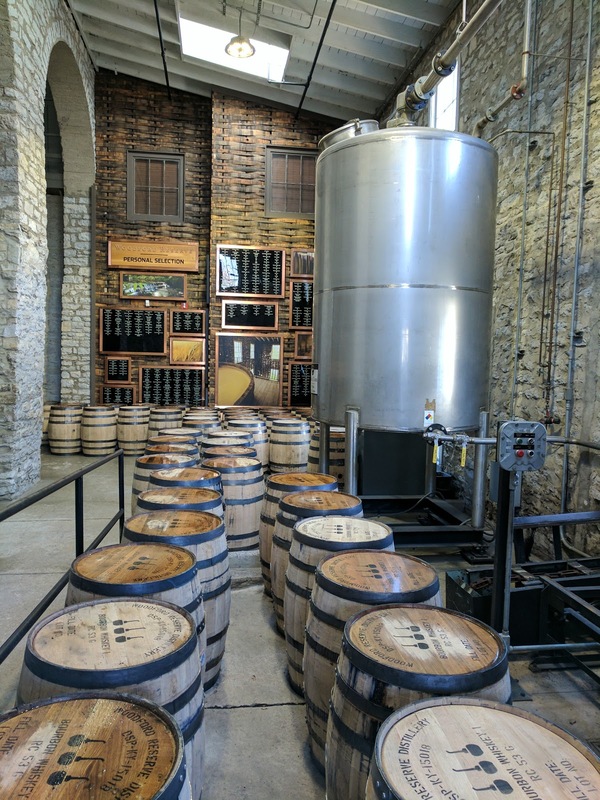 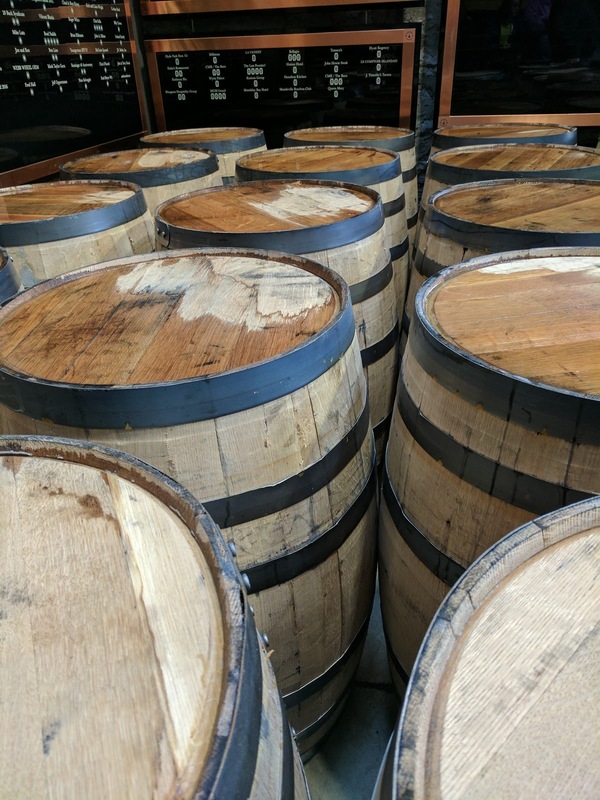 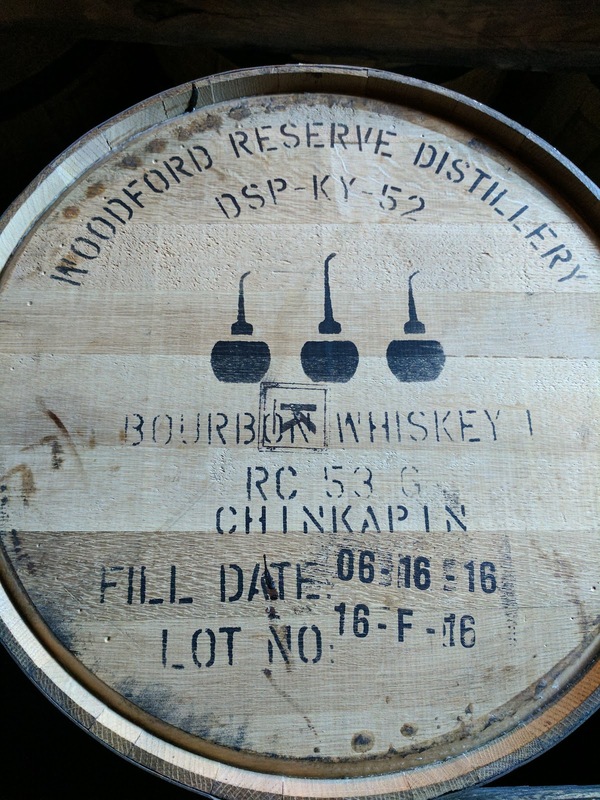 We started off by learning what is qualified to be called bourbon, which is actually not much: it just has to be made from at least 51% corn and aged in a new charred oak barrel. 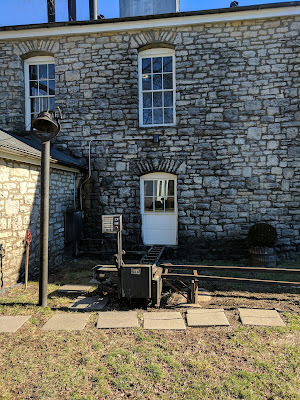 We were here during the one time a year all the facilities are shut down. 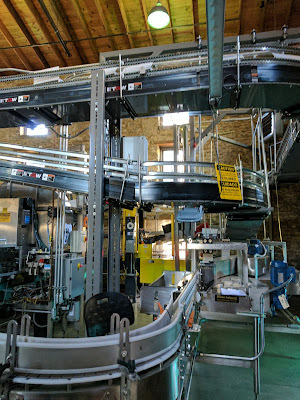 This gave us a different peek into the production line but also meant we didn't get to see anything actually happening. 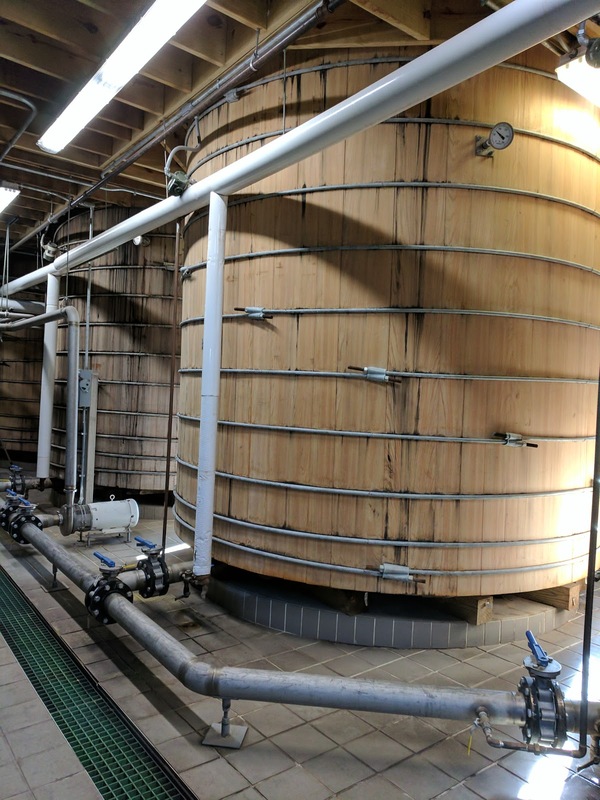 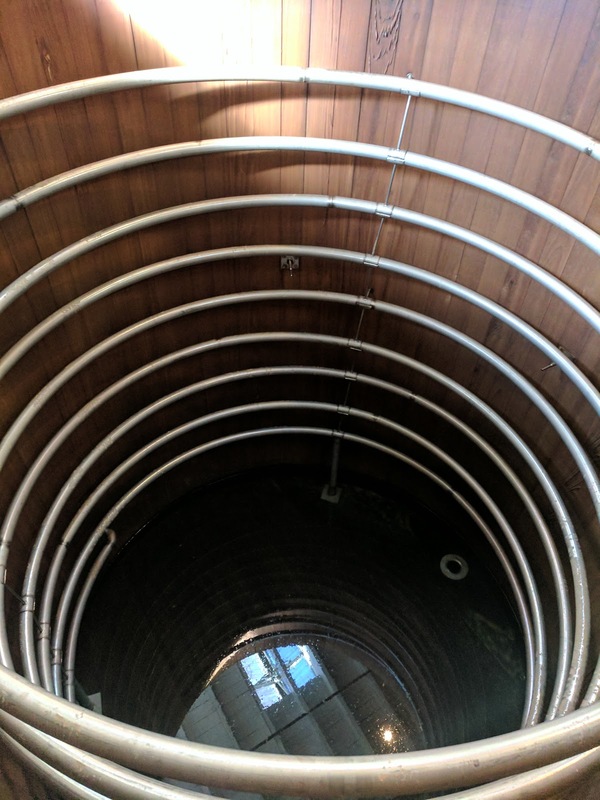 But we got to look into the fermenters, which otherwise would have been full of liquid. Notice how light this wood looks compared with the wood in the next picture near Eric. 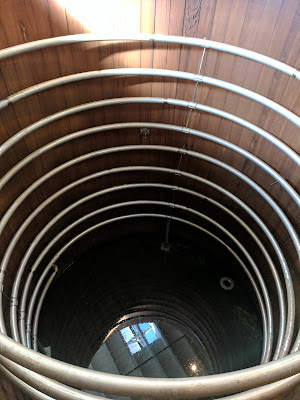 From the fermenting room we went into where the stills are. Each time the mash goes through a still it becomes a higher alcohol content. 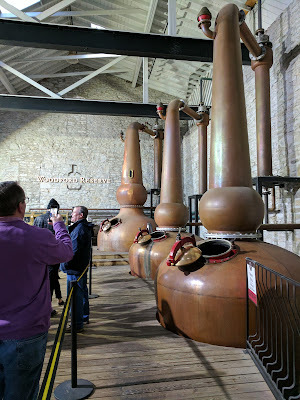 This part of the tour was kind of hard to hear, probably because we were in a large room. 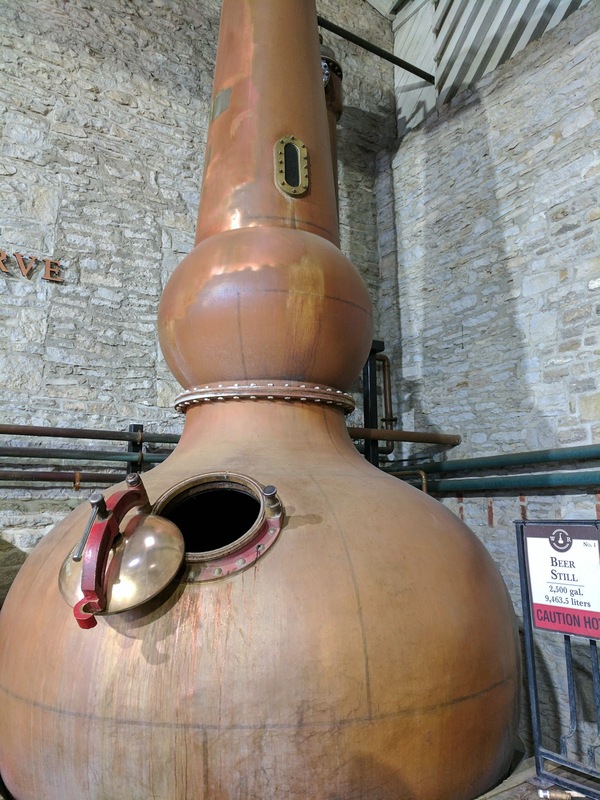 Try to be next to the tour guide if you can. In any case, the lighting (it was a beautiful sunny day outside) and architecture of the building were really fun to photograph. These barrels are for people with a lot of money. 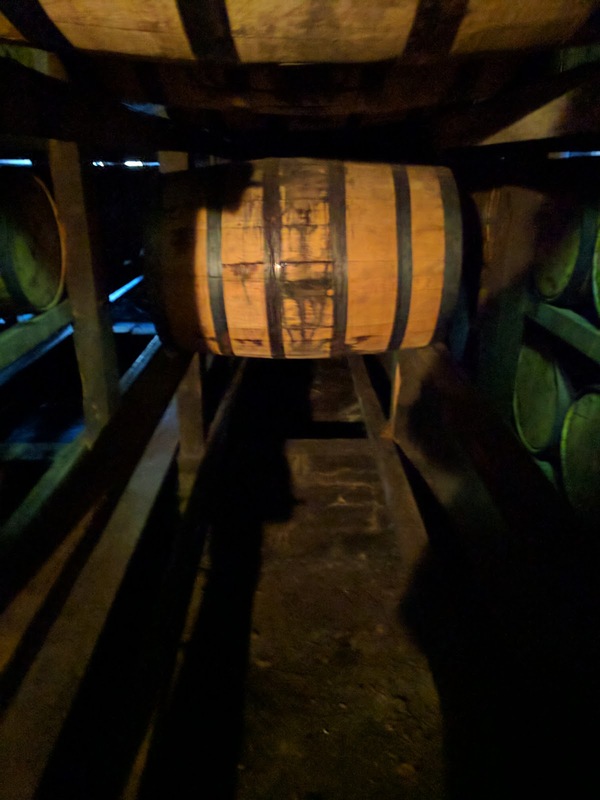 Back on the bus, I asked the guide how much it would cost to commission your own barrel... between $8,000 and $15,000. 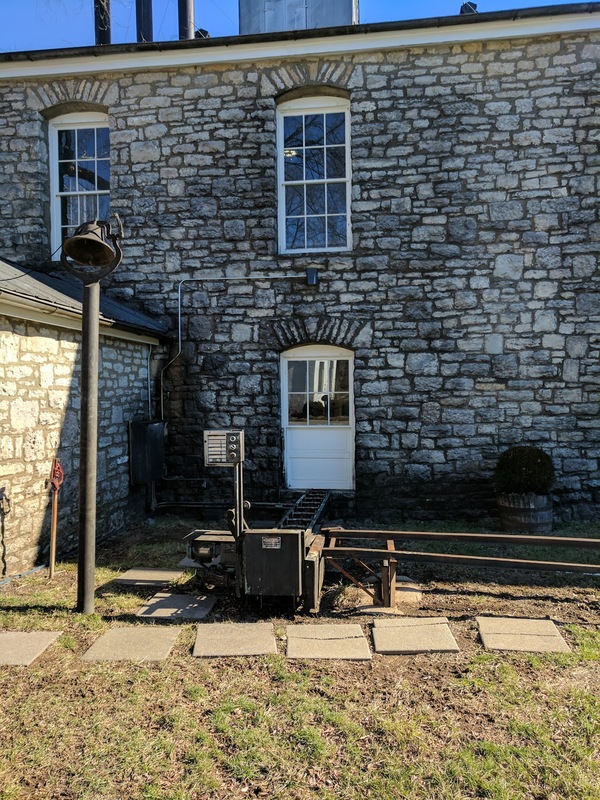 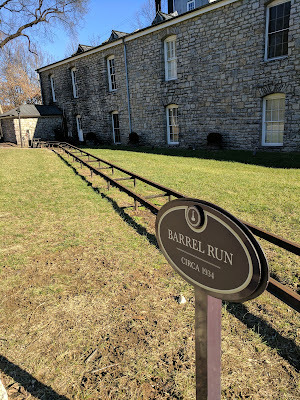 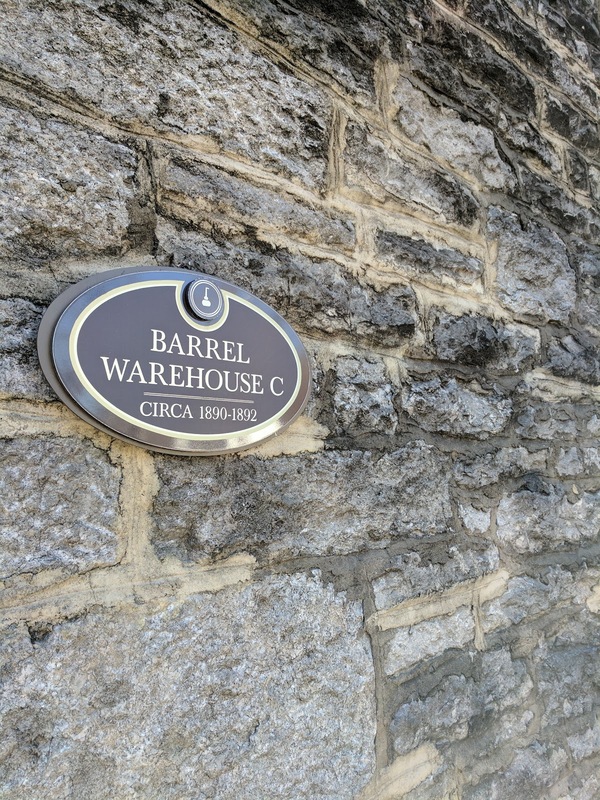 Outside the warehouse is a neat idea - iron tracks for barrels to get rolled to the next building, called the Barrel Run. 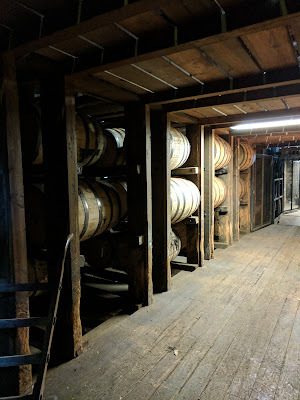 We followed the tracks to the next place on our tour, inside one of the barrel warehouses. 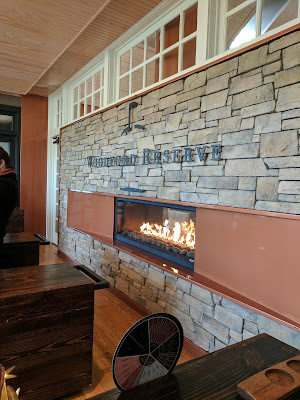 As soon as we walked in, I never wanted to leave. 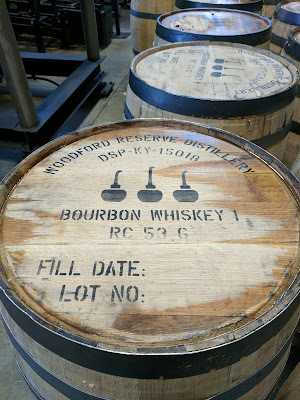 It smells completely amazing. I don't really remember what she talked about in here, other than the barrels live here during their aging process. I was too distracted by breathing deeply in as much as I could and taking photos. 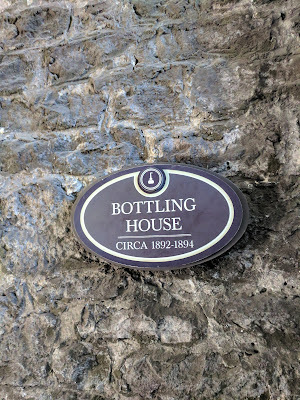 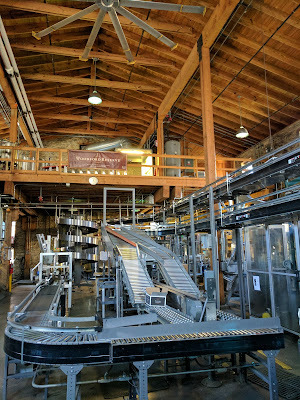 Eventually we had to leave and walked over to the bottling warehouse. 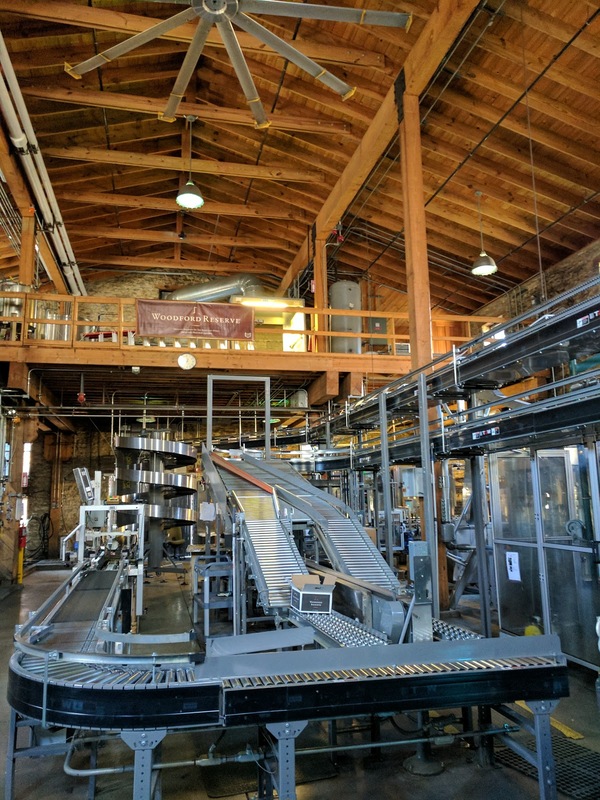 Again, the production was all shut down for the holidays, so the bottling line wasn't going (unfortunate because usually bottling lines are really cool). 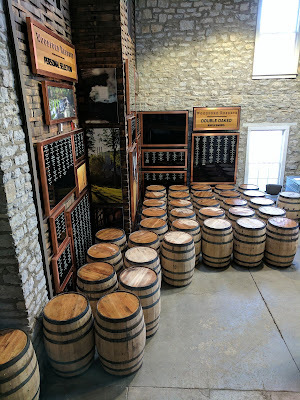 So unless you also come for the one time a year they shut everything down, you will have a different experience in this room. 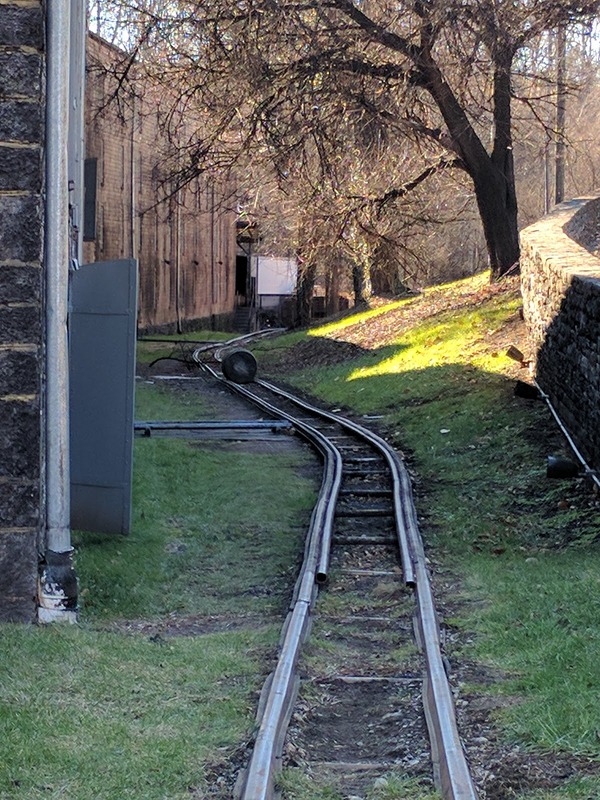 A lone barrel forgotten on the track. We ended our tour with a tasting (21-over only...the one girl who was 19 just had to sit there and get teased by the whole group) of their two bourbons and also got to have a chocolate bourbon ball. This tasting was really formal. 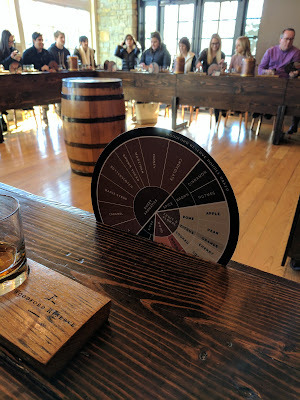 We were instructed on just how to taste (various places on the tongue, swirling it around, etc.). There is a very small amount in the glass but we were still able to get a good taste. 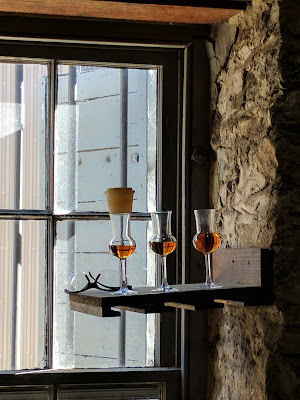 The first one was the Kentucky Straight Bourbon. Yummy (we wound up buying some back at home, where our Kroger was having a 30% liquor sale...) and smooth. We also tasted the double oaked bourbon. 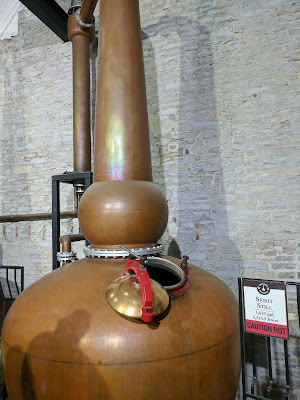 From our guide's descriptions throughout the tour, I thought I would like this one better, but I didn't. 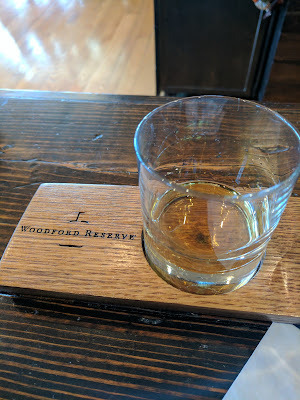 It was still tasty but I liked the first one better. 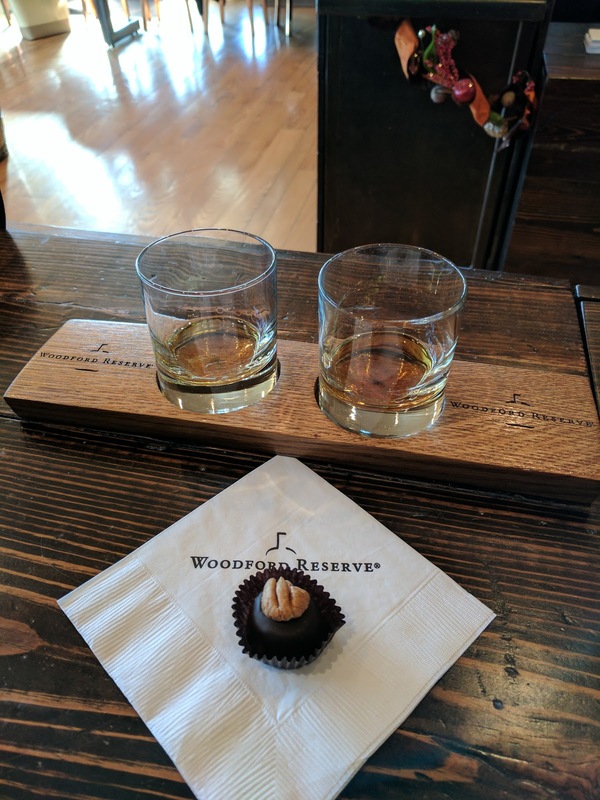 We also got to eat our bourbon ball with this glass, as the chocolate brought out some other flavors. We each had our own ice bucket, too. Kind of cool. 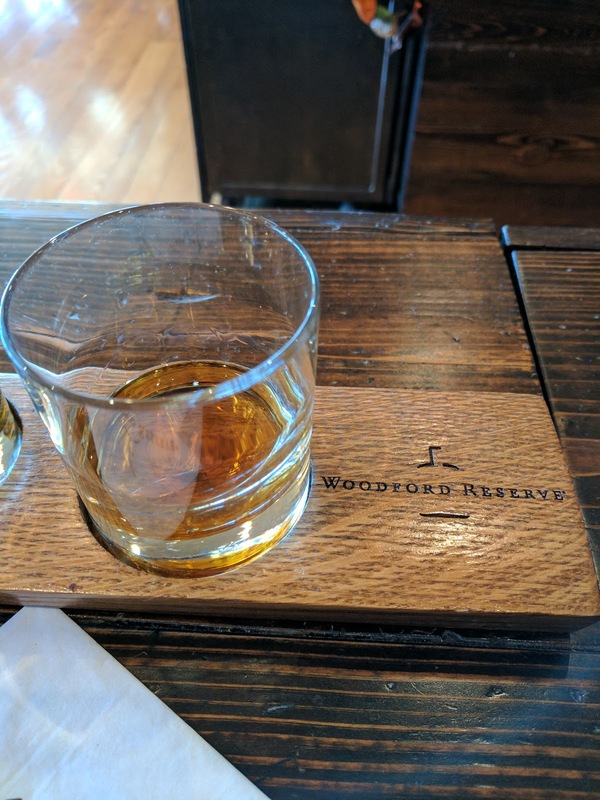 I like and appreciate "fancy" experiences like this. 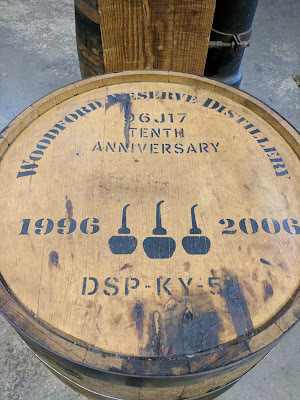 It was a good tour and a good experience. 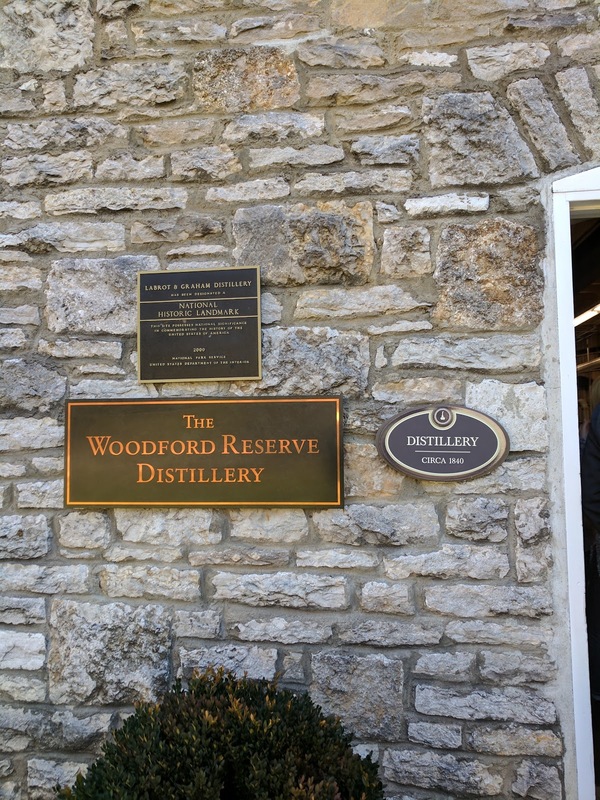 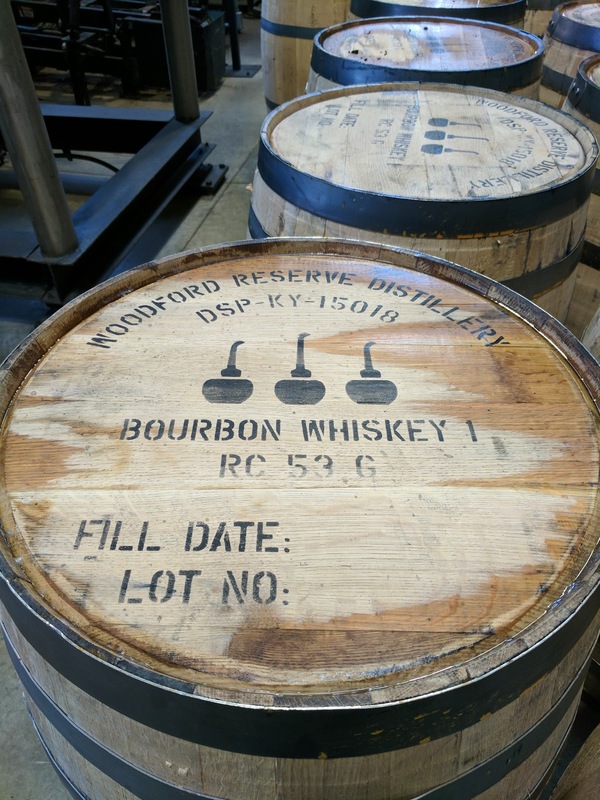 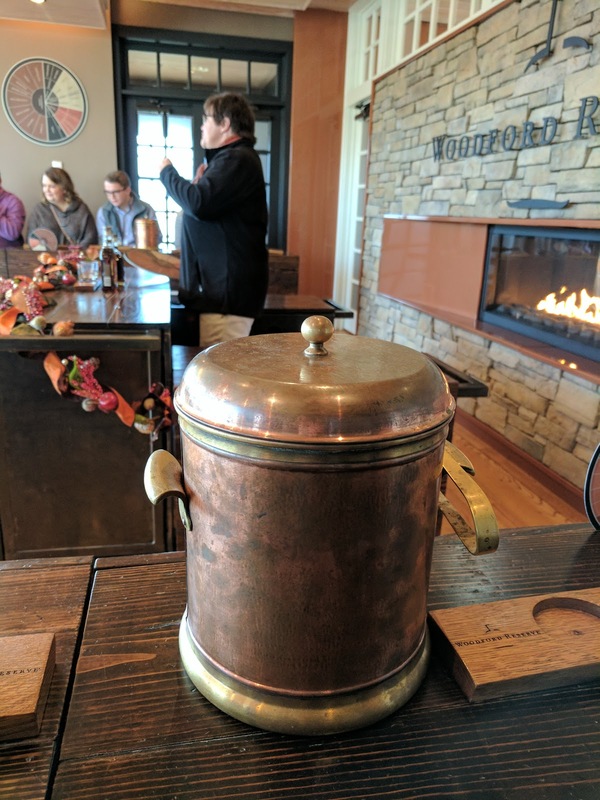 We lucked out with the weather (sunny and not very cold for December 30th) and got to taste some good bourbon. PS. 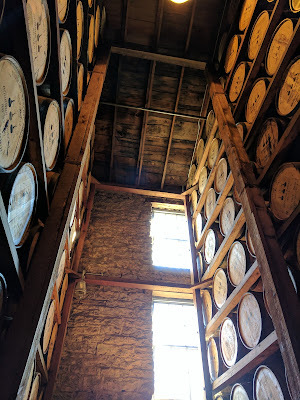 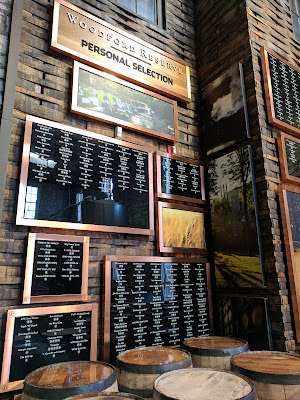 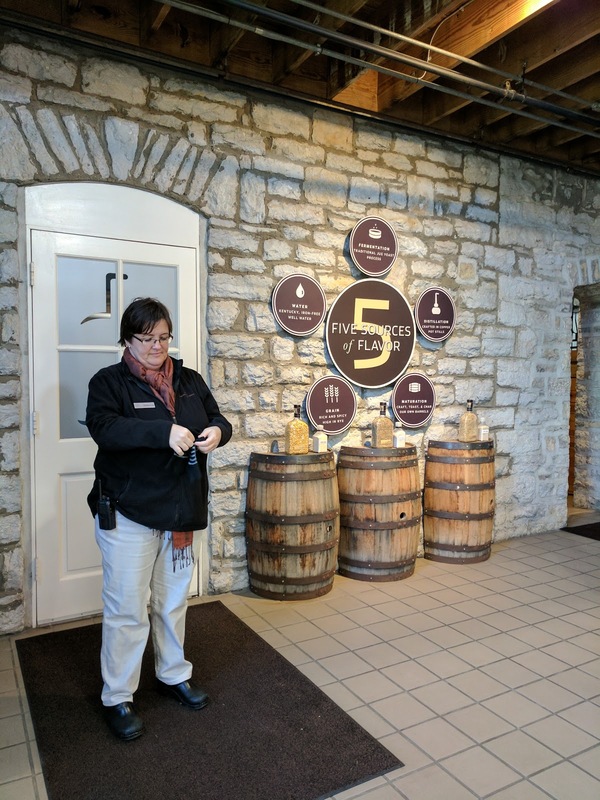 Make sure to pick up your Kentucky Bourbon Trail pass at the first spot you do. 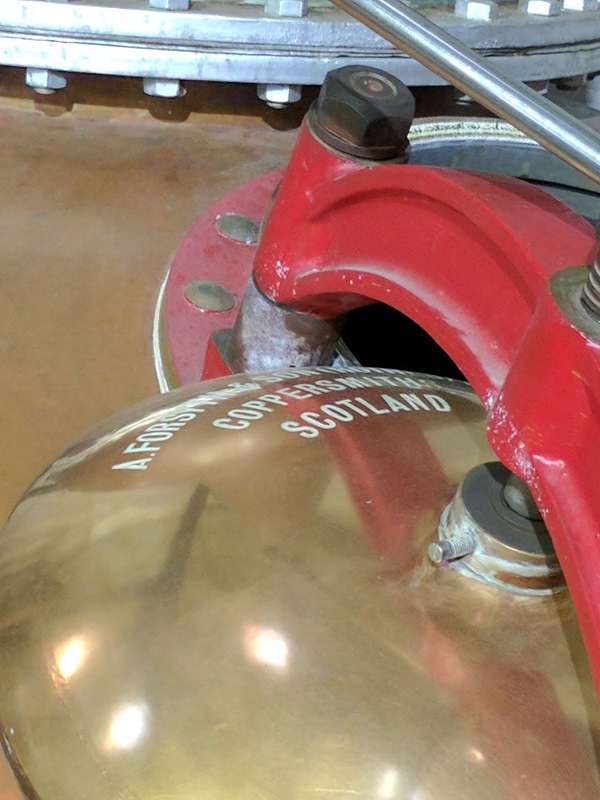 If you get all the stamps, you can send it in for a t-shirt if you want.